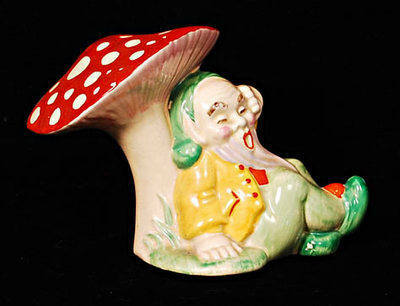 Gnome figure by Clarice Cliff. Size is 4.5 inches tall. No damage or restoration. Not marked. I remember a pair of these selling at Christies for about £650 a few years ago.